Blade sharpening does not need to be dangerous or requirestrength and long effort. Shogun Bade Sharpener keeps your hands & fingersaway from the sharpening process; equipped with twin tungsten carbinesharpening blades, you can single handedly restore blade sharpness in 3 - 4swipes. 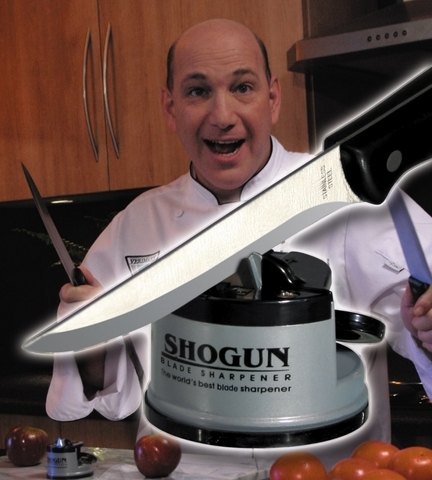 It simply is the world’s best blade sharpener! 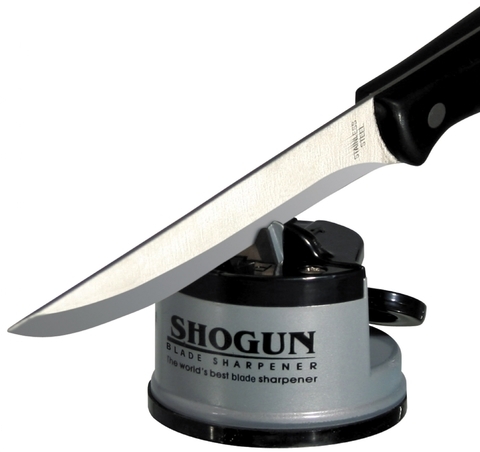 Shogun Blade Sharpener can be used to sharpen a wide array of toolsand knifes. Bread knives, Cleavers, Steak knives, Peeling Knives evenSerrated-edge knifes! 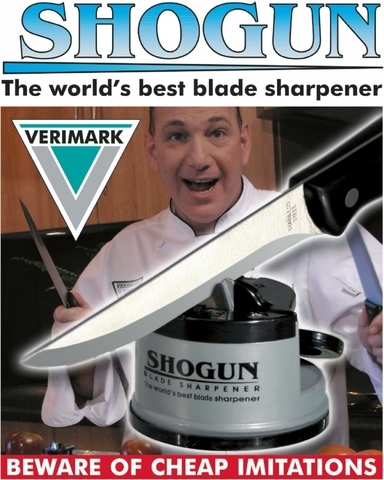 Out of the kitchen, it can be used to sharpen gardenequipment like Hedge Scissors, wire cutters and more! Simply attach the suctioncup on any flat surface & lock it in place!